The most prestigious event in the Woolworths calendar is the annual Charity Ball. This extraordinary event brings together 740 guests to raise money for a worthy cause. 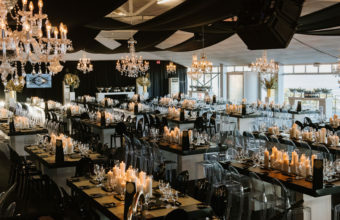 The theme was James Bond 007 and our creative team went to town on designing a contemporary concept for one of the largest dinner events on the Cape Town calendar! 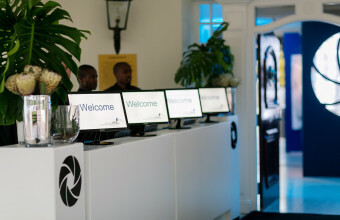 The 23rd World Economic Forum on Africa was hosted at the Cape Town International Convention Centre. 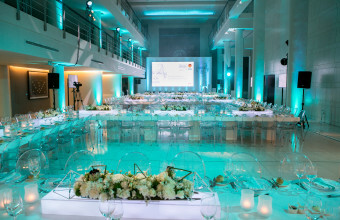 Event Concepts, in collaboration with production partners ESPAfrika, won the tender to create an end of conference celebration, a Gala Dinner to be remembered. 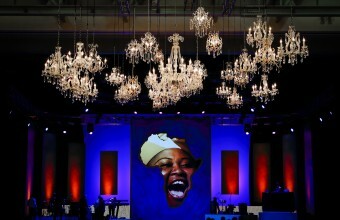 With a brief from the Governments National Treasury to create a wow factor event for 900 guests, 20 African and International heads of state plus the South African President, the pressure was on, but our creative team emerged triumphant. 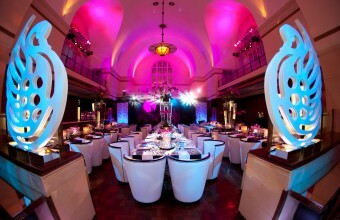 Re-setting the bar for an exclusive Cape Town Gala Event” was the brief to our team for a lavish urban dinner celebration, with cutting edge design trademarks. With its original Parkay flooring, high ceilings, structured beams and nostalgic Art Deco banking features – the newly refurbished 1920’s Landbank building – was set to host its first ever exclusive event.